Daegu Fatima Hospital was pleased to receive the Cultural Minister Officer of Sakha Republic, Egorvov Petr on September 12th, 2013. 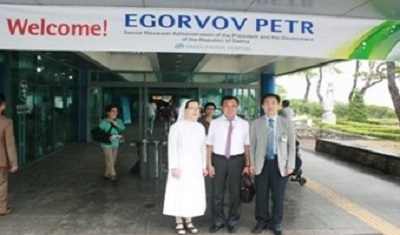 The purpose of the trip was to visit Korean hospitals which are involved in treating foreign patients. Minister Egorvov Petr was very pleased to see the high quality level of Daegu Fatima Hospital and promised to report all the information to the President of Sakha Republic.